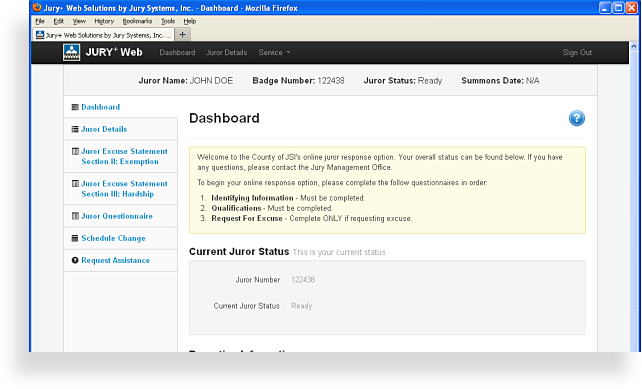 Jury Systems offers a solution to courts throughout the world that are looking for an efficient and cost-effective jury management system with unparalleled support. Jury Systems Incorporated was founded by jury professionals and has been providing the best and most comprehensive jury management solutions for 25+ years. Whether large or small, our products have the flexibility and configurability to meet any courts need. Our teams expert insight as well as unmatched customer service and support prove we are the industry leader in jury management. We're here 24/7 to ensure your success.